Constructed around 2004, the structure had ongoing water infiltration issues. 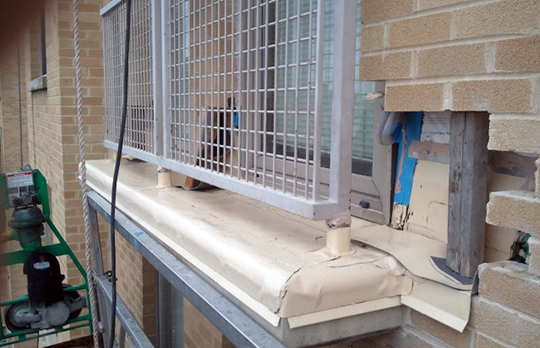 With the use of water saturation techniques the improper flashing installation details where located and repaired. These included window heads, sill and jambs. Planter and balcony copings where repaired. All work completed within the occupied building.